For the next month I’ll be traveling north and east, through some of the countries that were once part of the Soviet Union. 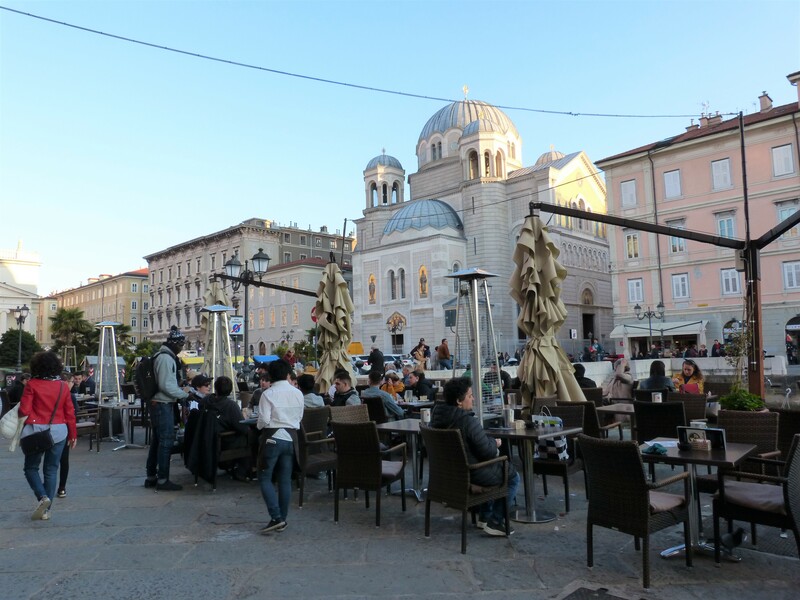 My first destination, on my way to points east, is Trieste, a city in northern Italy on the edge of the Adriatic Sea. Look on a map of Italy to find Trieste. It’s location has been a blessing and a curse over the centuries. Once part of the Habsburg empire its population is a mix of Catholic Italians, Orthodox Slovenes and Germanic peoples. 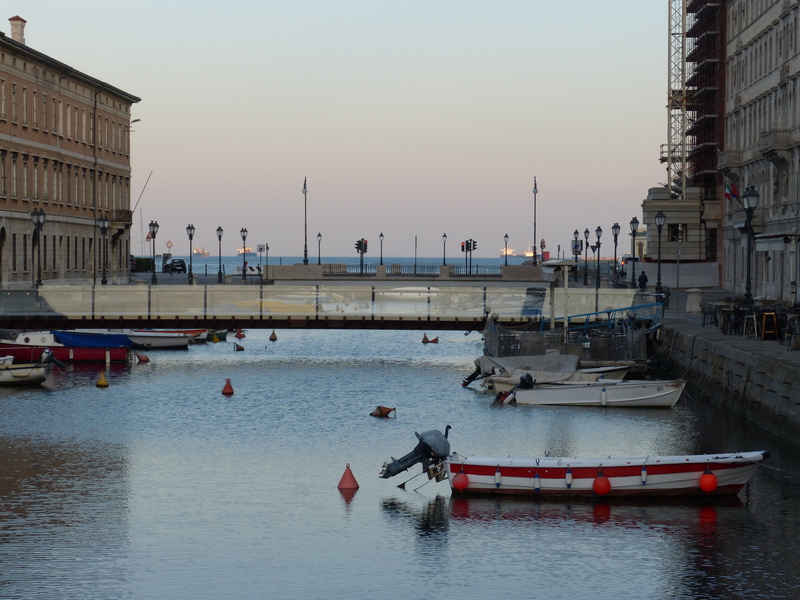 Its location on the sea and between powerful European states caused the first half of the 20th century to be very troublesome for the people of Trieste. Ultimately, the greater region was divided in 1954 between Italy and Yugoslavia. I went there on my way east, traveling first by plane from Sicily and then by train from Rome, an adventure that took the better part of two days. On the third day I reached my goal: Zagreb, Croatia. More about that soon. 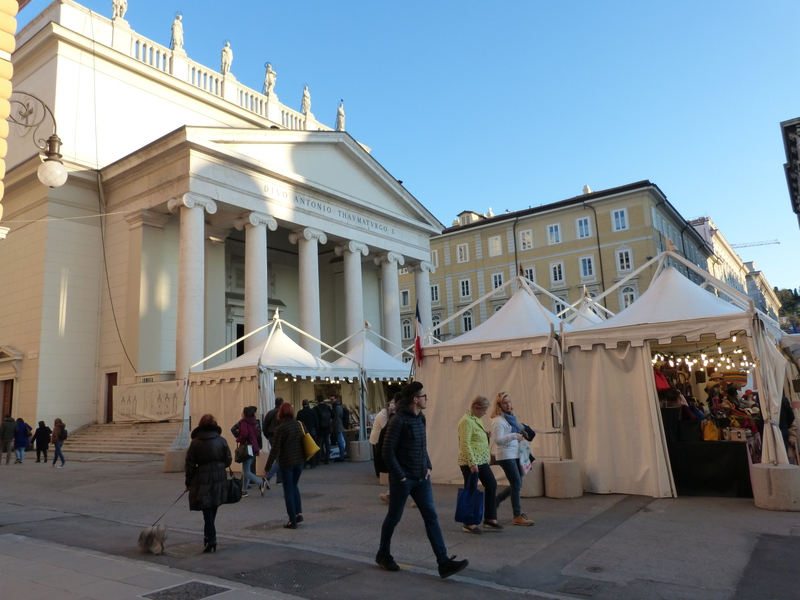 I had little time to see much of Trieste. It’s a city that has interested me for a number of years, having been a favorite subject of the writer Jan Morris. Her book, Trieste and the Meaning of Nowhere is being reissued this year. Luckily, I chose a hotel in a perfect location for seeing the center of the city, the part near the “grand canal.” That allowed me to photograph some interesting and/or fun scenes on a Friday in the late afternoon of a beautiful day. Here’s some of what I saw. 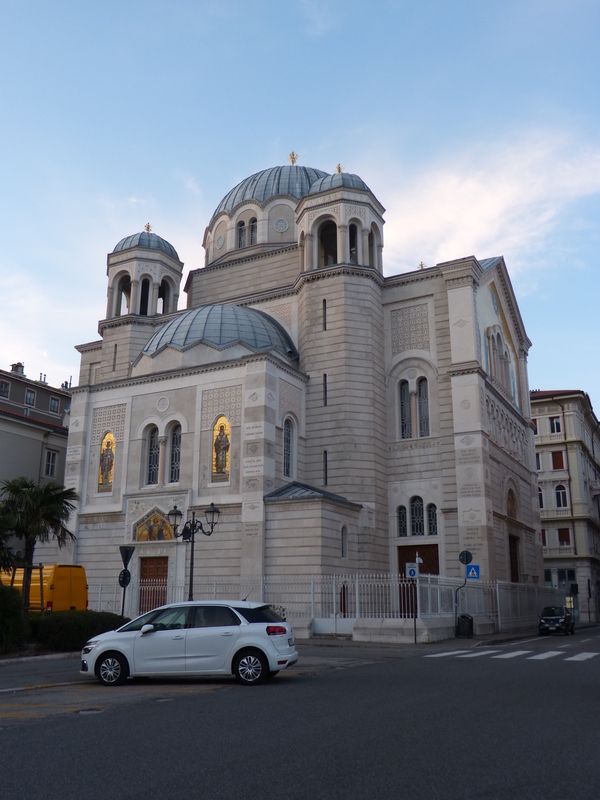 An enormous Serb Orthodox church stands at the head of the canal. Interesting market stalls can be found there. Another Orthodox church is near by. These churches were closed when I was there. Too bad. I’d love to have seen the interiors. The “grand canal” (only two or three blocks long) empties into the Adriatic. 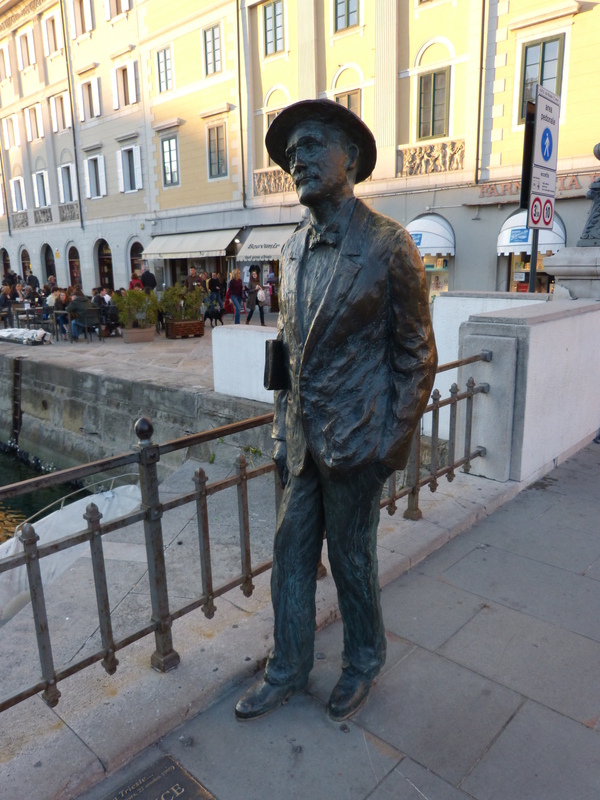 James Joyce was living in Trieste while he wrote Ulysses. (His wife was supporting the family with her boarding house.) He’s remembered here with this sculpture. Friday afternoon after-work fun is the same everywhere, isn’t it? I’ll be writing about Ljubljana and the Slovenian countryside next, followed by a post or two about Zagreb.